The annual spring Family Festival returns to Anaheim from Thursday, March 1st through Sunday, March 4th. The four day festival will have rides, games, live music, food, vendors, and more! 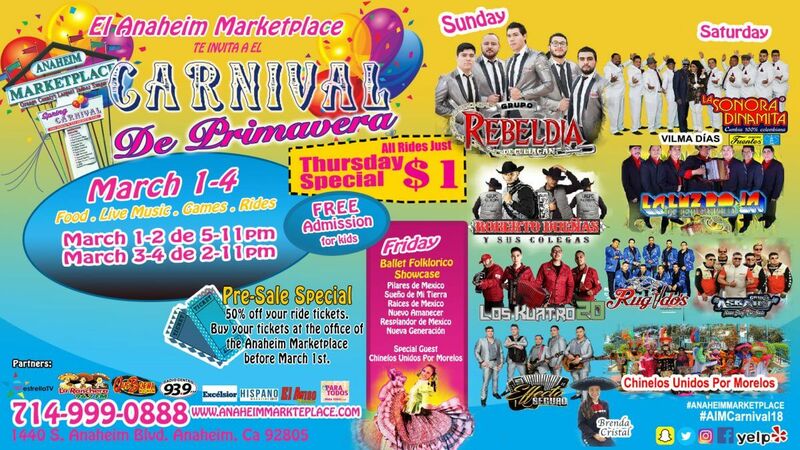 The festival is located at Anaheim Marketplace on Anaheim & Cerritos Ave.
All rides are $1 each on Thursday night. Pre-Sale ride tickets are 50% off and are available at the Anaheim Marketplace office until March 1st. 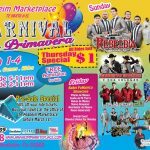 For vendor inquires, visit Fiesta de Carnival.